How we could do with someone so inspirational now, some to push the arcade back to the forefront of the gaming world, I’ll be honest and say I don’t know much of this man but it’s a sad day to lose someone like this. He was much more than an oddity in a video game. He sold one of the first Pong machines, helped introduce the kit to arcades and marketed and sold such games as Mr. Do, Super Punch Out, Final Fight, Street Fighter and Golden Tee 3D. He is an icon of the industry that helped bring the industry back after the arcade crash of the early 80’s and the slump in the 90’s. Bill Cravens passed away in his sleep on March 29th, 2007 and I already miss the man that helped foster my love for video games and life. 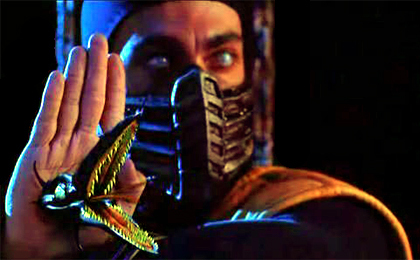 The original MK movie has to be one of my all time favourite cheesy films, so I was pleased to find out there’s another one in the works. As long as it still has the same music I’m happy. Also the film could do with a bit more violence, I always kind of felt they censored it a bit in comparison to the games. Read on…..
Just like the long-gestating “X-Files” sequel, the third “Mortal Kombat” movie has been swimming in the Development Hell Channel for quite a few years now. Apparently, and again like the former, it’s delay can mainly be attributed to legal issues. Insider ‘Rayden’ gave us a quick run-down on what the deal is with it- whilst confirming that the film won’t actually be a prequel or a sequel but more of a restart. “The movie is not going to be a prequel, sequel, or in any form be related to the previous 2 movie. Pretty much like Batman Begins, is going to restart the series with new concepts, stories,etc. Uemura – Sega's Hidden Game Design Power? There’s some cute commentary on how the game was designed, too: “Uemura says the goal in designing the games was to let children and parents enjoy playing together. It was a concept adapted from past mistakes. Before “Mushiking,” a cutting-edge attraction designed by the team frightened an elderly person and grandchild at a theme park. “Mushiking” was born out of reflection on that failure. Uemura said the game allows adults to use their intuition to help children with the games. “For example, when playing “Love and Berry,” parents can advise children by saying, “You don’t wear jeans at dance parties,’ and by doing so, parents can enjoy communicating with children.”” Yeah, no jeans! Uemura – Sega’s Hidden Game Design Power? 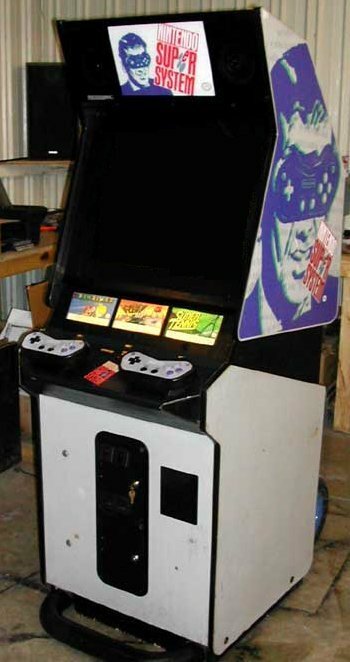 Just a reminder to all you arcade lovers out there that Arcade Heroes has a Forum. So head over there now and sign up, we have some regular posters over there already. 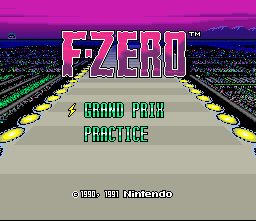 It’s a great place to talk games, suggest ideas for the site and give me tips on arcade stories and news. 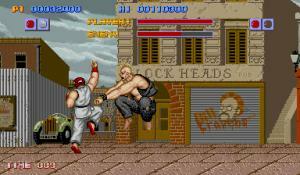 Let’s keep this site going because there’s not many of us out there to protect the arcade from the big console bullies! Hit the Arcade Heroes Forum banner above to check it out and enjoy. 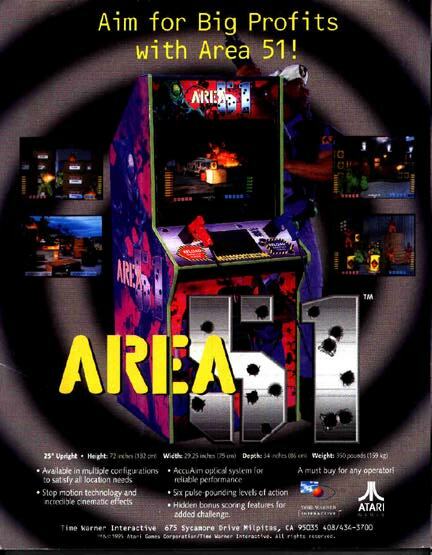 ebay listing of the week…..
Don’t miss the opportunity to have some fun with this amazing arcade video game!You can attack, kill and destroy aliens all in the comfort of your own home! Using optical guns you must complete all the missions! Hours and Hours of fun!! !Only selling due to lack of space!The machine is used and does have some scratches and damage, however it is not major and I can email you over pictures if you are interested in bidding! 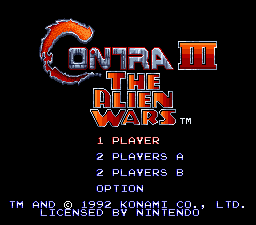 The only games ever made for this system were Pushover, Lethal Weapon, Robocop 3, The Addams Family, Act Raiser, NCAA Basketball, Super Soccer, Skins Golf, Super Tennis, Super Mario World, and F-Zero, Contra 3: Alien Attack, and Ultimate Tennis. スプラトゥーン 必勝パターン on Want in on The Act?